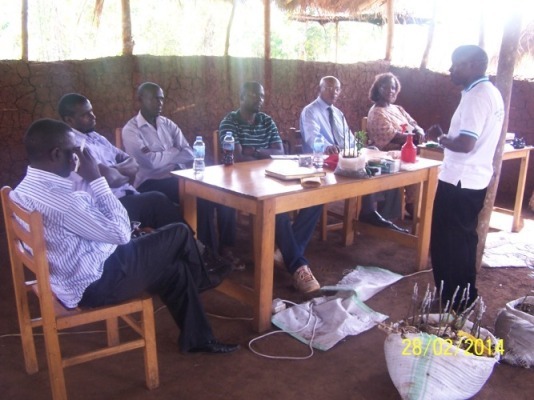 We held the first training seminars on apple culture at our Apple Center at Nakifuma, Uganda. 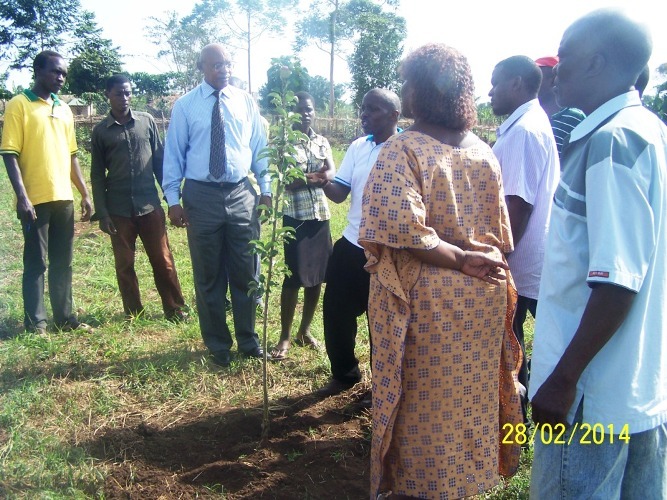 We were going to hold them at a hotel in Kampala, but decided that they would be much more valuable to the attendees if they got to see some actual apple trees and the operations of the nursery. Those are some of the newly-grafted apple seedlings in the bag in front, and we also did some grafting during the seminar. They are three hours in total and cover Apple Basics, Apple Varieties, Planning the Orchard, Planting the Orchard, High Density Orchards, Apple Pests & Disease, Disease-Resistant Apples, Training for Productivity, Drip Irrigation, Fertilization, Grafting and Propagation, and Apple Marketing. 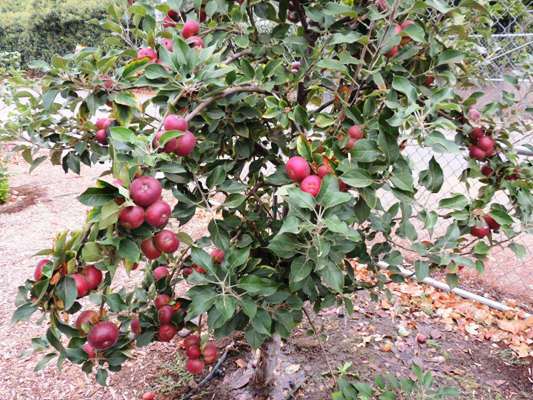 The grafting season is winding to a close here in Southern California, but we still have fresh rootstocks and all the varieties of scionwood, including our champion bearer, King David (pictured). If you were contemplating getting an order in this spring, now is a good time to do it, as one big order can wipe us out for the season. And what a season it’s been; we’ve shipped to India, Africa, Hong Kong, Cayman Islands, and a bunch of orders to that hot bed of apple-growing, Hawaii. Oddly enough, we’ve also had orders from Wisconsin and New York, which is OK since our apple trees do just fine there also. Not many fruits have this range of climates where it will grow.